On Saturday(November 18th) Lily Collins and Sofia Boutella hit the red carpet at the 11th Annual GO Campaign Gala at the NeueHouse Hollywood in LA. Lily Collins wore a one-shoulder RALPH & RUSSO SPRING 2018 floral pleated cocktail dress which was accessorized with YEPREM jewelry and JIMMY CHOO sandals. Allowing her dress to remain the focal point as it should, she finished up with straight off-the-shoulder tresses and minimal make-up. 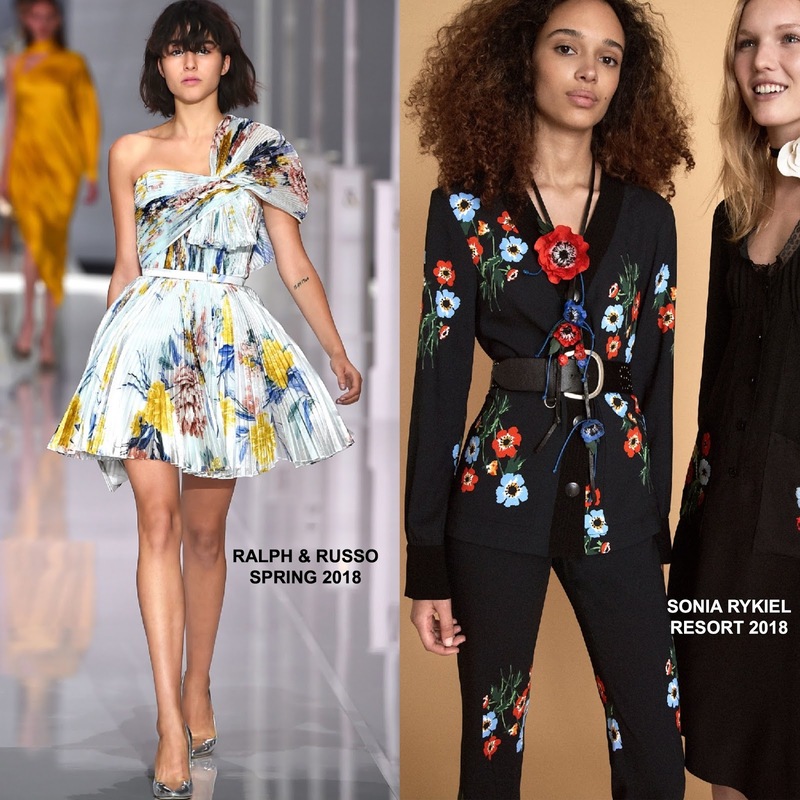 Sofia Boutella wore a SONIA RYKIEL RESORT 2018 two-piece floral suit. Love this suit but it looks way better in the look book than on Sofia. She definitely should have belted the waist and hem the pants.